A very large wicker basket from the Champagne region, reinforced on the sides with chestnut splints and sitting on two oak runners. Inscribed in the original faded black paint with the vineyards initials G.D. this basket is in excellent condition and has a wonderful aged patina. 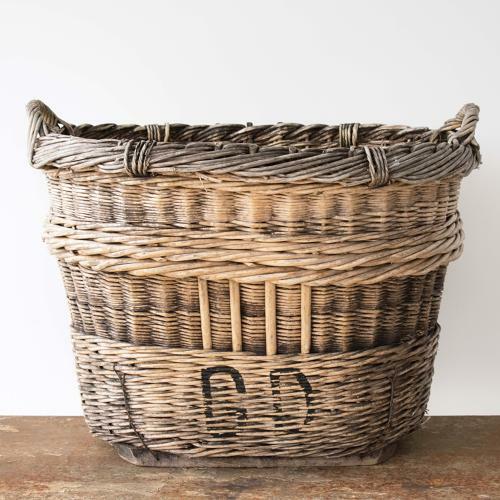 A beautiful basket that could have a number of practical uses around the home including being used as a decorative log basket, as a planter, or just for storage. French circa 1900.